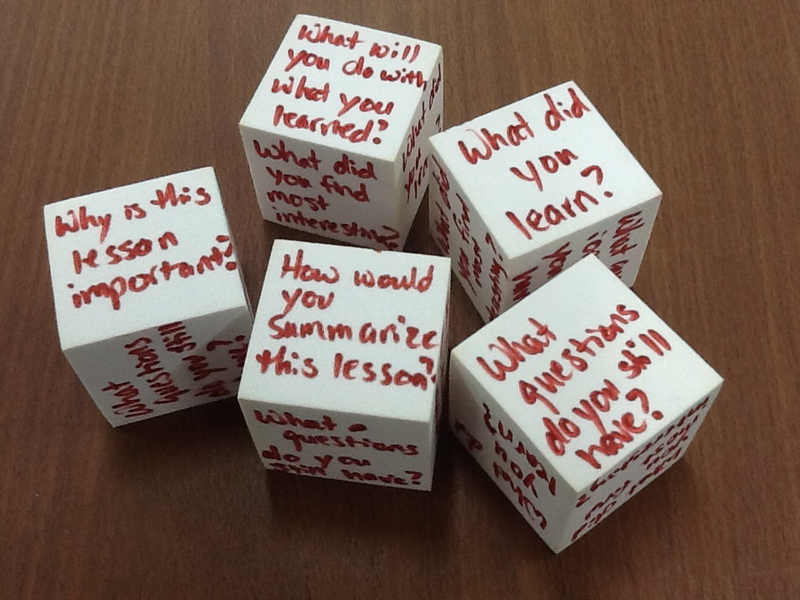 This review activity uses dice to debrief just about any learning exercise. 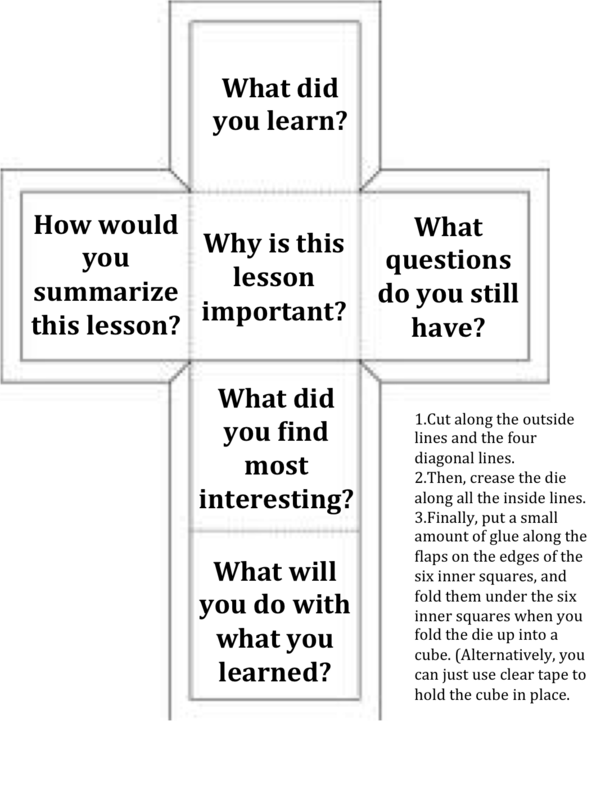 Each die has six questions on it (e.g., “What did you learn?” or “What questions do you still have?”) Use the dice as a fun way to have participants think about what they learned from different perspectives. They can be used over and over, and participants will still have a unique experience as they roll different questions in different situations. Blank foam dice that you can write on with a marker (one per group) You can usually find this type of supply at a teachers’ supply store or craft store. (Alternative) Print out of the die pattern at the end of this lesson. If you use this approach, you will need a cutting tool and some glue (or clear, plastic tape) to assemble your dice.